A recent study by El-Domyati et al. showed the effect of multiple passes using Er:YAG 2940 nm laser mini-peel on subjects who were treated on the face every 2 weeks for 3 months for a total of six sessions. 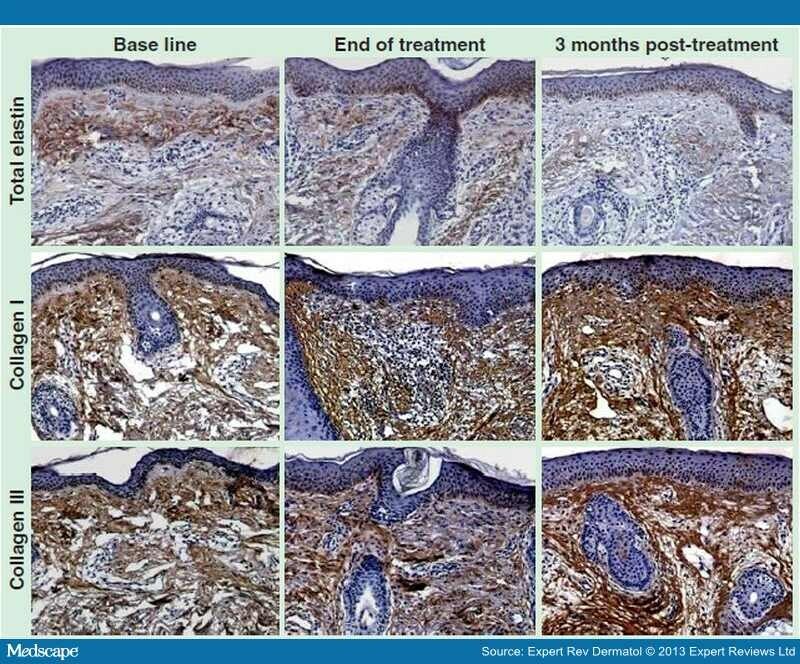 A moderate clinical improvement (Figure 2), accompanied with significant histologic findings in the form of increased types I and III collagen and decreased dermal elastin in response to treatment was reported. El-Domyati et al. analyzed the effect of monopolar RF on individuals who underwent treatment on the face every 2 weeks for 3 months for a total of six sessions. Punch biopsies of the facial skin were performed at baseline, end of treatment and 3 months after treatment. Noticeable clinical improvement (Figure 3), together with significant histologic findings including decreased dermal elastin as well as increased collagen types I and III was observed after treatment. A recent study by El-Domyati et al. evaluated the histologic changes and corresponding clinical outcomes after use of the ELOS technique (RF combined with IPL) for skin rejuvenation. The volunteers were treated for a total of six sessions at 2-week intervals. 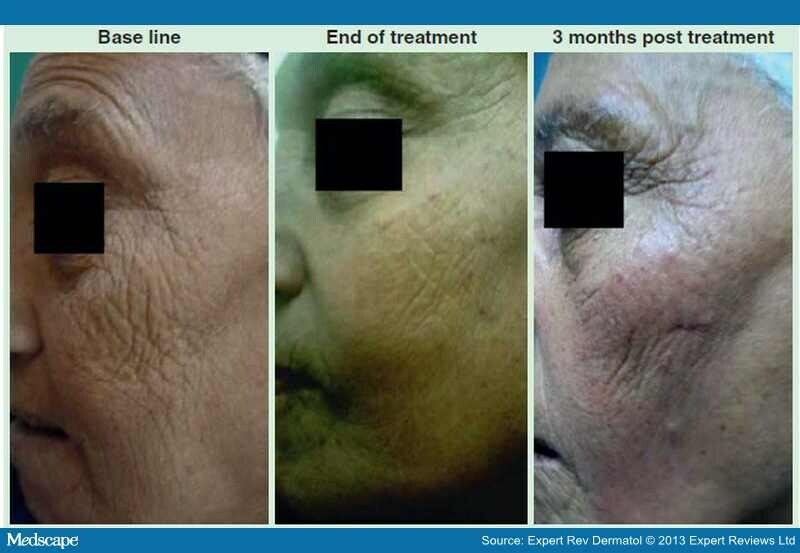 The outcomes were assessed using photographs and punch biopsies taken at the end of the treatment and 3 months post-treatment, that showed improvements in skin tightening, texture and wrinkles, which was accompanied by reduction in elastin 3 months after treatment and a significant increase in collagen types I and III (Figure 4). Platelet-rich Plasma. PRP is an autologous preparation of platelets in concentrated plasma. PRP is being widely applied in various medical fields including dermatology for its ability to stimulate wound healing. Further, it has been used clinically in mesotherapy for skin rejuvenation. Although PRP injection is considered one of the minimally invasive procedures, it usually causes skin bruises which will result in longer downtime when compared with other minimally invasive modalities. Kaufman R, Hibst R. Pulsed 2.94 um Er: YAG laser skin ablation-experimental results and first clinical application.Clin. Exp.Dermatol. 15(4), 389–393 (1990). Majaron B, Plestenjak P, Lukac M. Quantitative investigation of thermal damage in Er:YAG laser skin resurfacing.Proc. SPIE 3245(4), 366–373 (1998). Fitzpatrick R, Geronemus R, Goldberg D et al. Multicenter study of noninvasive radiofrequency for periorbital tissue tightening. Lasers Surg. Med. 33(4), 232–242 (2003). Taylor MB, Prokopenko I. Split-face comparison of radiofrequency versus long-pulse Nd-YAG treatment of facial laxity.J. Cosmet. Laser Ther. 8(1), 17–22 (2006). Alhalabi SM, Agha OQ, Hantash BM. 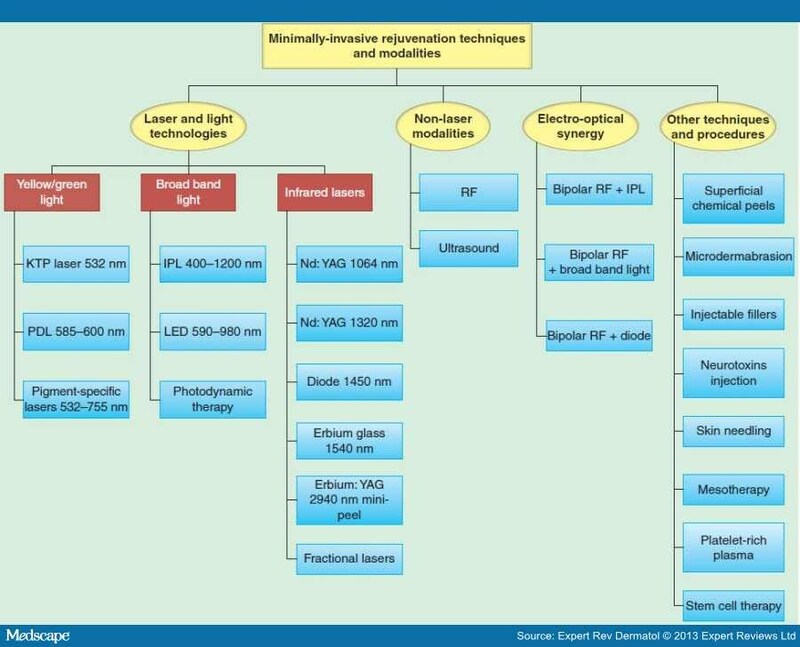 Nonablative radiofrequency for skin rejuvenation: a review of the literature.Expert Rev. Dermatol. 7(6), 589–599 (2012). Lee HS, Jang WS, Cha YJ et al. Multiple pass ultrasound tightening of skin laxity of the lower face and neck.Dermatol. Surg. 38(1), 20–27 (2011). Kim JE, Chang S, Won CH et al. 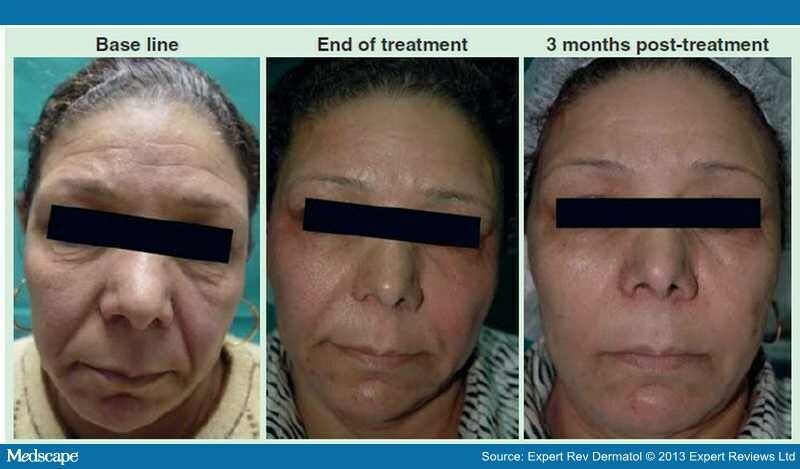 Combination treatment using bipolar radiofrequency-based intense pulsed light, infrared light and diode laser enhanced clinical effectiveness and histological dermal remodeling in Asian photoaged skin. Dermatol. Surg. 38(1), 68–76 (2012). Wrotniak M, Bielecki T, Gazdzik TS. Current opinion about using the platelet-rich gel in orthopaedics and trauma surgery. Ortop. Traumatol. Rehabil. 9(3), 227–238 (2007). Lewis CJ. Stem cell application in acute burn care and reconstruction. J. WoundCare 22(1), 7–8, 10, 12–16 (2013).